We are a small hobby cattery located in southern New Jersey (about 15 minutes outside of Philadelphia). We find ragdolls to be simply irresistible. To us their charm lies in their gentle, loving and well balanced temperments. We are dedicated to the preservation of the breed standard for the Ragdoll Cat and the continuous improvement of health through genetic analysis. 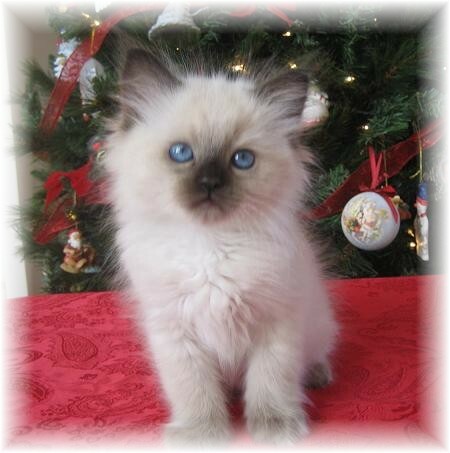 What we’re really saying is that our goal is to produce healthy, beautiful Ragdoll Cats that we can share with you. Ragdoll Cats are big, fluffy, affectionate pets. They are wonderful companions, sweet-natured and intelligent. They follow you and stay sweet after they grow up. There is immense personal satisfaction we receive from this hobby in meeting new friends and in giving and sharing with them the joy, happiness, warmth and affection of a Ragdoll Cat. We came upon the Ragdoll breed through a book our daughter, Brianna brought home from a school book fair. That’s when we started researching all about the breed. First, we adopted two Ragdolls kittens, CJ and Sweetie Pie. We fell so in love! We decided to adopt two more precious babies and that’s how Briadolls Ragdolls came to be. All of our cats and their kittens are well loved, well socialized, and born and raised in our home as members of our family. They are cuddled, kissed, gently handled and adored from the time they are born to the time they are placed with their family. If you would like information about acquiring one of our cute and cuddly kittens from an upcoming litter, please visit the “Available” page. There you will find out about our health guarantee, pricing, how to get on our waiting list for a Briadolls kitten, and much more! All of our breeders were DNA tested for HCM and PKD. We are happy to announce all of our cats tested negative. Professional photos copyright to the respective photographers.